You will come to clearly understand your own cycles and phases that you are currently experiencing (including past and future cycles) and how in the whole scheme of your life they are unfolding and contributing to the evolution of your consciousness and your own personal growth. 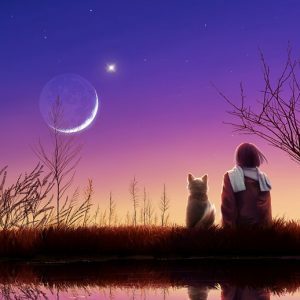 It is basically about your own “soul timing.” These moments of important cycles represent very potent time frames where your growth is exponentially accelerated and life will always represent this back to you through personal experiences, events, etc (get a heads up on the cycles and themes of your life path). Book a Free Consultation With Me. Payment Plans Available ~ Email Me to Schedule. 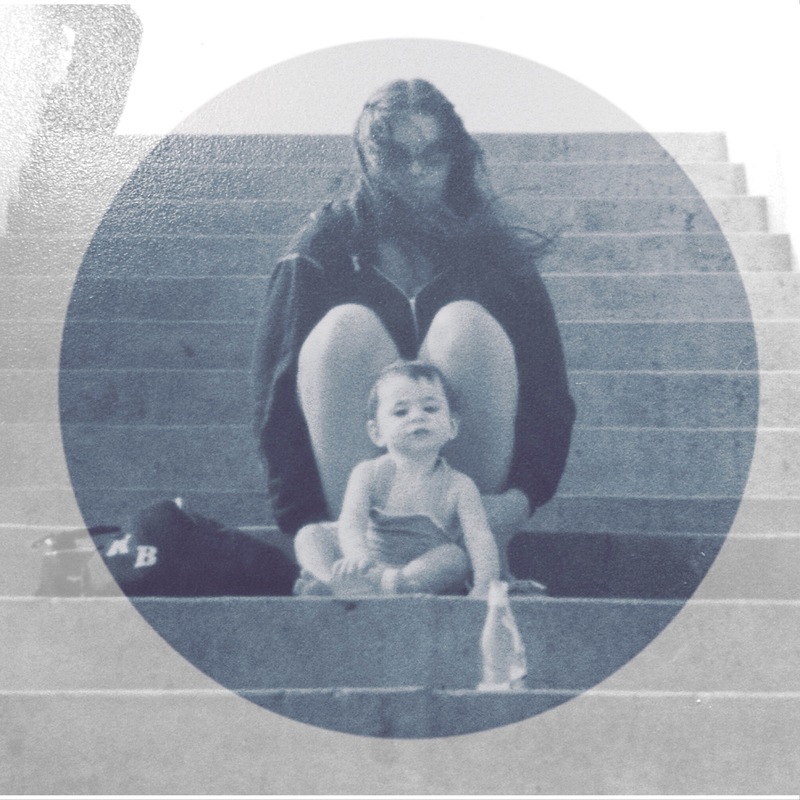 This is a live personal astrology reading (Skype meeting) where we explore deeply into all the archetypes/symbols of your Birth Chart focusing specifically on aligning with your Core Soul Intent and Purpose in this life. 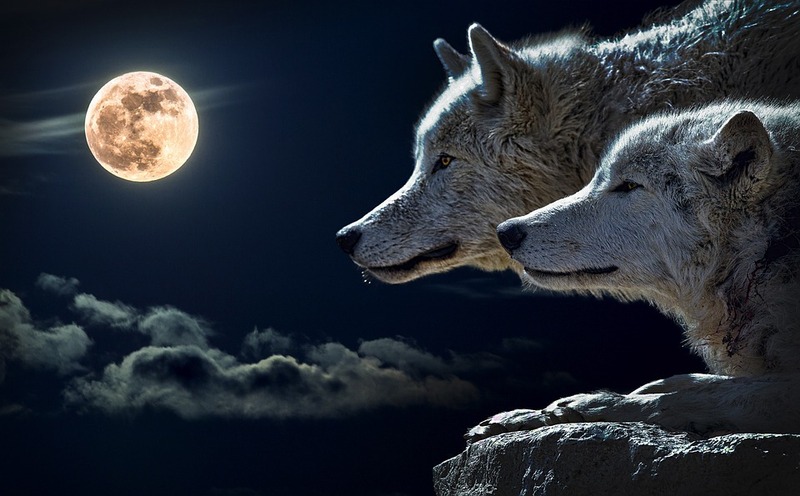 There are many layers of revelation that come through this process including insights into ancestral connection/karma, money, love relationships, community/society, etc. We also look deeply into the planetary cycles and phases and how they contribute to the timing of your soul evolution and the actualizing of your Soul Purpose. 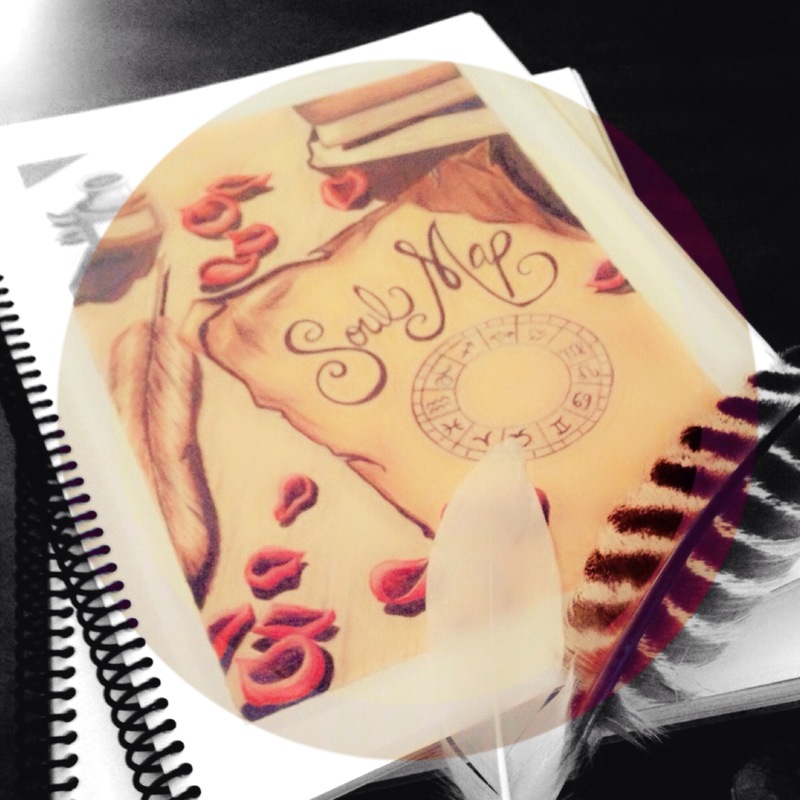 Your own Personalized Astrological Soul Journal the ~ “Soul Map” is included. 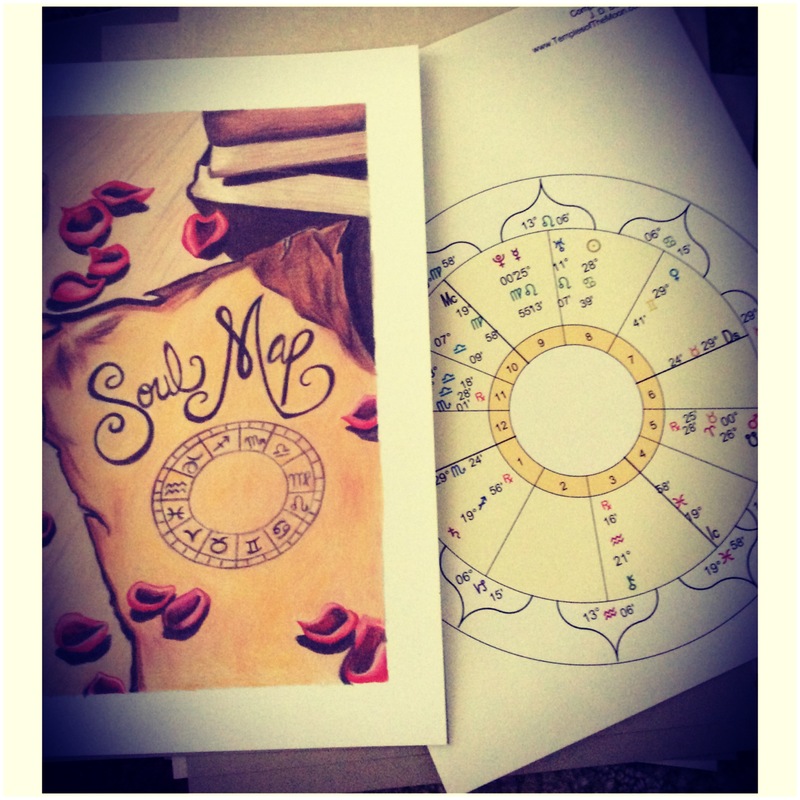 The “Soul Map” is a personalized astrology book based on the symbols of your own personal birth chart. 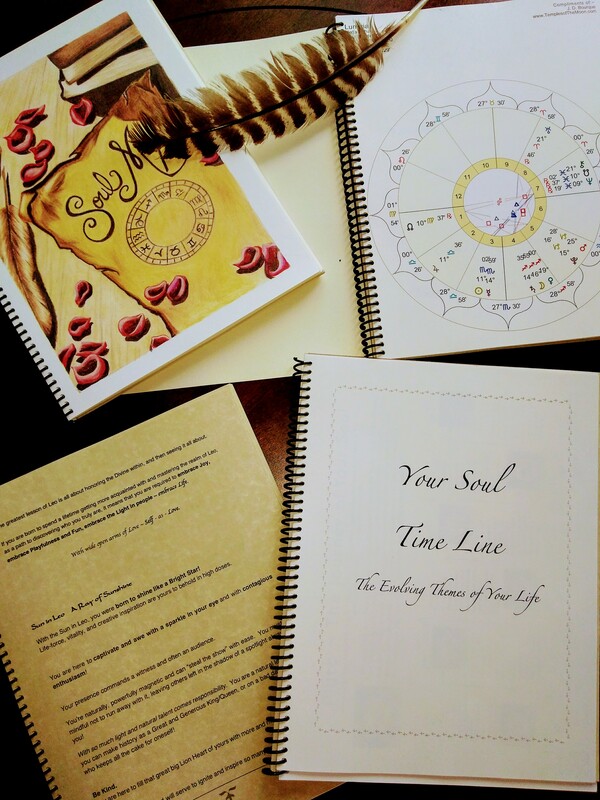 There are over 75 pages of powerfully insightful astrological information and detailed specifics all about you and your soul journey. It is like having a personalized journal that one can refer to for years to come. 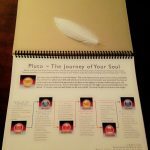 The Personalized Astrology “Soul Map” Book includes over 75 pages of deeply personal soulful information. In the book, I interpret each of the 27 symbols of your birth-chart in House and Sign with soulful, inspiring, transformational insights. For example: what does it mean to have Sun in Virgo in the 7th House? 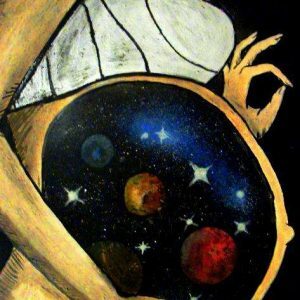 Or, what does it mean to have Moon in Leo in the 10th House? etc. 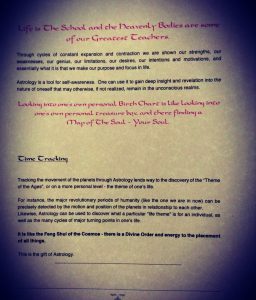 As a special addition to the book, I have included the “Time Map & Time Tracking” section, which explains the most important and meaningful planetary transits and cycles that we experience throughout our lives, including the specific ages in life that we go through each of these cycles. 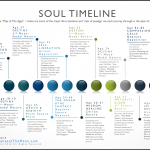 “Your- Soul Time Line” is a section which fully covers the most important Soul Themes of YOUR Life including the specific dates throughout your life that these themes are activated. A deeply soulful report explaining the meanings of each of the symbols in your personal birth chart, focusing on your greatest potentials and soul purpose in this life. Each description provides a thorough interpretation of the energetic dynamics within each symbol so that you may be able to understand them and connect more profoundly and clearly with them within your own self-experience. 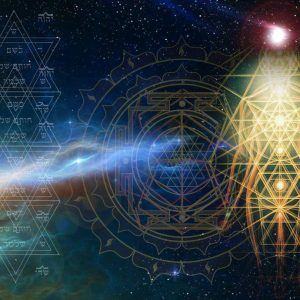 Suggestions and insights on how to access your highest potentials and remedy the shadow aspects of self. A beautiful Lotus Mandala image of Your Own Personal Birth chart. 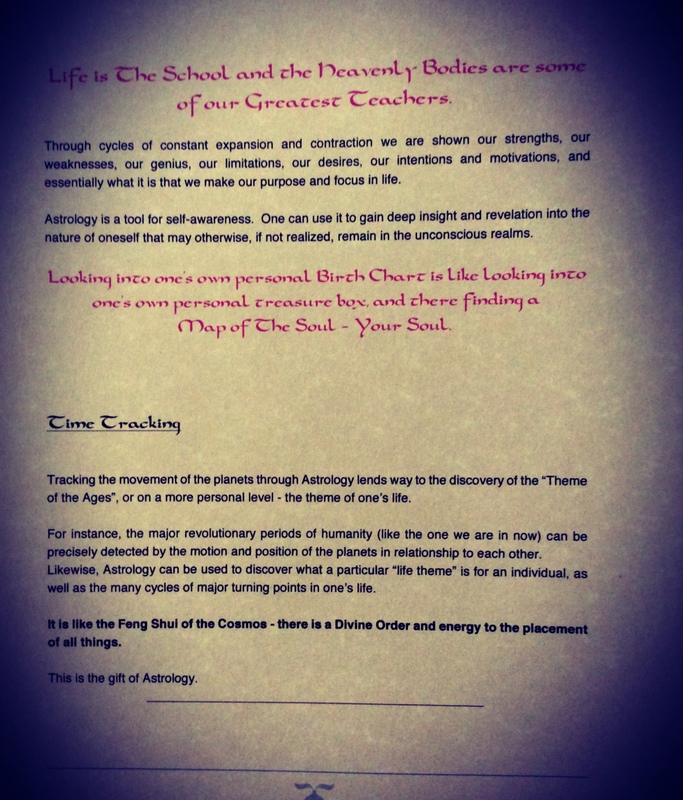 Fully detailed descriptions of the meanings of the archetypes of the planets, signs, and houses of astrology. 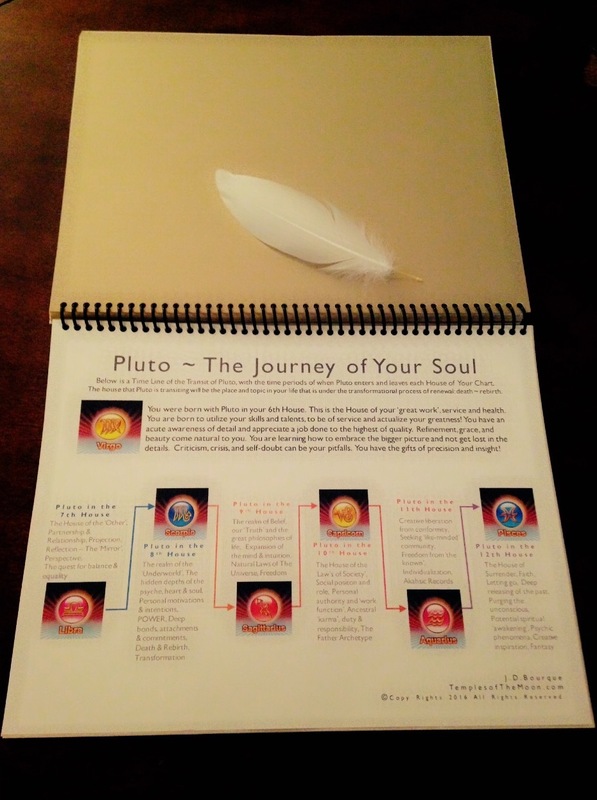 As a special addition to the book, I have included the “Time Map & Time Tracking” section, which explains the most important and meaningful planetary transits and cycles that we are affected by throughout our lives, including the specific ages in life that we experience each of these cycles. 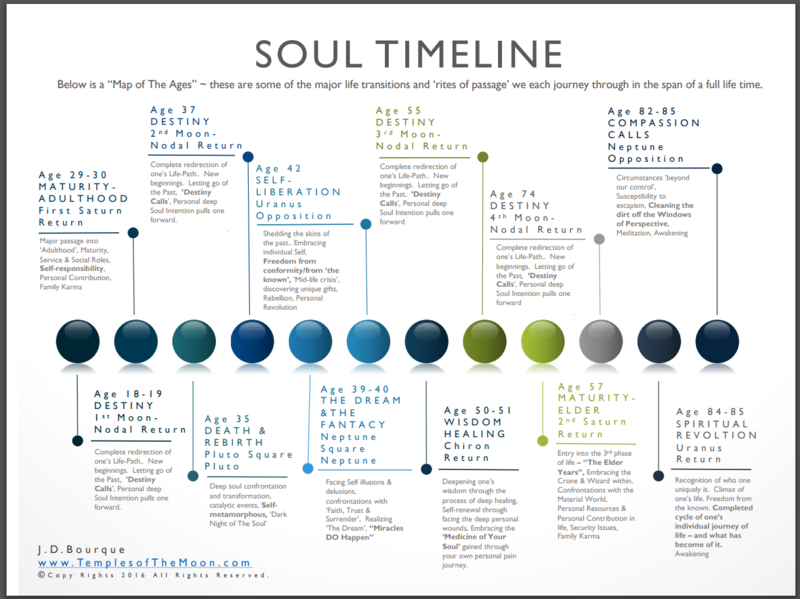 “Your Soul Time Line” is a section which fully explores the most important Soul Themes of Your Life – and the specific dates throughout your life that these themes are activated (as seen through the transit of Pluto.) Included are suggestions and insights on how to make the best of these passages in your life. The specific dates – according to your personal birth chart, for the shifting of these themes. How long each cycle is occurring for in your life; the specific time frame in years. And what specifically they are all about. This section is very much about the evolutionary intention of your soul. <<<< PLEASE READ >>>> I currently have a 3-4 week waiting list for this item. After you purchase I will email you to let you know the estimated week of arrival – about 4 weeks from your order date. This book is entirely written and handcrafted by myself. It embodies the heart and soul of who I am and my beautiful journey with the Cosmos! 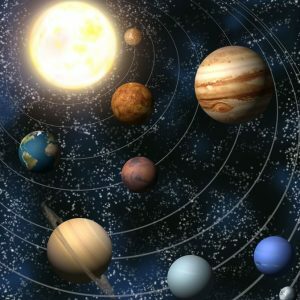 I have been fortunate to have had a truly magical path with Astrology that has taken me all over the world – training and working with some of the most amazing people in this field! From the Amazon jungles of Peru, and Brazil, to the White Lion Reservation of Timbavati – South Africa, to Kerala India, England, Hawaii, California, and Sedona, USA. It has been a profoundly sacred path, and the essence of what I have gained and have been gifted through my connection with these Celestial and Earth energies can be found within the pages of this book. Sun 04° Taurus 17' 34"
Moon 10° Capricorn 17' 49"
Mercury 10° Aries 08' 28"
Venus 04° Aries 57' 55"
Mars 16° Gemini 07' 25"